The Golden Slipper is the premier racing event held every year at Rosehill Gardens in Sydney. Other notable races include The BMW, Rosehill Guineas, Coolmore Classic and the George Ryder Stakes. Rosehill Gardens is a picturesque racecourse located just 20 minutes west from the heart of Sydney. It is home to the Sydney Turf Club and features an autumn and spring racing carnival. The grass surface track is 2048 metres in circumference with a 408 metre straight. The track has sweeping turns and is run clockwise. Constructed in 1885 for a total of £17,000, Rosehill Gardens also has four training tracks, one grass, one sand and two cinder tracks. The venue features a breathtaking grandstand, grand pavilion and a seating deck as well as plenty of room down near the track. There are three tiered stands with bars, restaurants, betting facilities and corporate boxes. The racetrack hosts at least eight Group 1 races, sixteen Group 2 races and eight Group 3 races including the Kingston Town Stakes. The Autumn Racing Carnival is host to 18 Group status events over three consecutive Saturdays. Offering a total of $11 million in prize money, the carnival attracts the country’s best race horses. The marquee event of this carnival is the 1200m Golden Slipper Stakes, a $3.5 million race for the best 2 year old horses. Golden Slipper Stakes – worth $3.5 million, the world’s richest race for 2 year old horses. 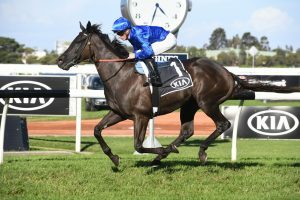 Rosehill Guineas – A 2000m Group 1 set weight race for 3 year olds worth $500,000. The BMW – Worth $2.25 million, this is a 2400m Group 1 weight-for-age race. George Ryder Stakes – A 1500m Group 1 weight-for-age race worth $400,000. Coolmore Classic – A 1500m Group 1 Quality race for fillies and mares worth $600,000. Ranvet Stakes – A 2000m Group 1 weight-for-age race worth $400,000. Apollo Stakes – A 1400m Group 2 weight-for-age race worth $250,000. Ajax Stakes – A 1500m Group 2 Quality Handicap race worth $150,000. Queen of the Turf Stakes – A 1500m Group 1 weight-for-age race for fillies and mares worth $400,000. Golden Rose – Worth $1 million, this is a 1400m Group 1 set-weight race for 3 year olds. Theo Marks Stakes – A 1300m Group 2 Quality Handicap for 3 year olds and over worth $200,000. Tea Rose Stakes – A 1500m Group 2 set-weight race for 3 year old fillies worth $150,000. Hill Stakes – A 1900m Group 2 weight-for-age race worth $150,000. Gloaming Stakes – An 1800m Group 3 set-weight race for 3 year olds worth $250,000. The nearest train station is Rosehill, on the Carlingford line. It is then a mere 400 metres to Rosehill Gardens Racecourse. Plan your journey with the Cityrail Timetable. Veolia Transport NSW will deliver you to Alfred Street; it is then a short walk alongOak street to Rosehill Gardens Racecourse. Plan your journey on the Veolia Transport website. Rosehill Gardens Racecourse is about 30kms from the Sydney CBD, located on James Ruse Drive in Rosehill. Take either the Western Motorway, or the M2, from Sydney. There is free parking available at the entrance to Unwin Street.